OXNARD, Calif. – The City of Oxnard has set two September sign-up opportunities for the utility rate assistance program “Project Assist” on September 19 & 20 and is determined to reach income-qualified customers. The program offers low-income residents a $10 monthly discount toward residents’ trash, sewer, and water utility bills. This fiscal year (July 1, 2018 – June 30, 2019), the City will also accept qualified multi-family dwelling residents who receive their own City of Oxnard Utility Bill. Qualifications are a streamlined three step process. A prospective participant completes the one page application. Secondly, Oxnard residents must be participants in Southern California Edison or Southern California Gas Company’s CARE program or one of several other social assistance options. Oxnard residents will be notified on the spot of approval as they file completed applications to city public works staff. Funds are limited and acceptance is awarded on a first-come, first-served basis. Oxnard City Council approved the “Project Assist” Program for a second year (Fiscal Year 2018-2019) at their July 10th meeting. Finally, the applicant turns in a recent City Utility Bill copy that is in their name or a copy of a valid driver license. Applications and bilingual sign-up flyers will also be available online at the City’s Website front page scroll. “Project Assist” drew 392 applicants during the first year of implementation. In July and August, the sign-up sessions attracted and accepted a cumulative 224 participants to date. The application process is annual. If residents participated in the program the first year and remain eligible, then they are still required to fill out an application for the second year of eligibility. September 19, 1:30 p.m. – 4:30 p.m., Oxnard Public Library, Room B, 251 S. A Street. September 20, 9 a.m. – 12 p.m., Oxnard Public Library, Room B, 251 S. A Street. For more information, visit Oxnard.org/project-assist or contact the Public Works Customer Services Manager Jay Duncan at (805)385-8387. Oxnard, California – City Manager Greg Nyhoff has announced the appointment of Rosemarie Gaglione as the city’s new Public Works director, effective Jan. 16, 2018. Gaglione has wide experience in the field of public works, most recently having worked as the Public Works director and city engineer for the City of Goleta, where she was responsible for administration, capital projects, engineering and development review, storm water and solid waste initiatives, parks, streets, and fleet and facilities maintenance. She served as both the director and the city engineer concurrently. Gaglione also served as the Capital Improvement program manager and as a senior project manager in Goleta. Gaglione is also an excellent grant writer and strategist, having generated more than $11.6 million in additional funds for Goleta during her tenure there. Gaglione has a bachelor’s degree in Environmental Engineering from California Polytechnic State University in San Luis Obispo, with a concentration in water and wastewater treatment. She also has an associate degree in Mathematics and Physical Science from American River College in Sacramento. The City of Oxnard is a full-service, general law city incorporated in 1903. It is the largest and most populous city in the County of Ventura, serving 200,000 culturally-diverse residents. Located along Southern California’s central coast, Oxnard is 60 miles northwest of Los Angeles and 35 miles south of Santa Barbara. 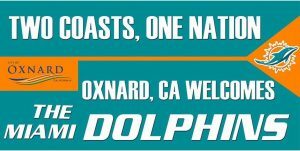 Are you a resident of Oxnard? Do you have an old mattress or box spring to dispose? The City of Oxnard Environmental Resources Division now accepts mattresses and box springs for recycling. The program is for Oxnard residents and is free of charge. The Del Norte Regional Recycling and Transfer Station is located at 111 South Del Norte Boulevard, Monday through Saturday 5:30 a.m. to 5:00 p.m. Residents can enter the location from Sturgis. California’s Bye Bye Mattress is a state funded mattress recycling program, created by a 2013 law and managed by the Mattress Recycling Council. Thanks to this program, mattresses and box springs are diverted from landfills and used to make other useful products like carpet padding, insulation, filters, and mulch. It also helps deter illegal dumping by offering a zero cost solution to disposal. As a participating facility, the Del Norte Regional Recycling and Transfer Station recycled more than 16,000 mattresses over the past 12 months. The recycling program has saved the City approximately $30,000 in hauling and landfill expenses. In addition to the savings the City receives $10 for every abandoned mattress or box spring it collects in Oxnard. Help keep our streets and alleyways clean and save valuable landfill space by recycling your old mattress and box springs for FREE at the Del Norte Regional Recycling and Transfer Station. Follow us on social media at www.twitter.com/CityofOxnard(@CityofOxnard), www.facebook.com/CityofOxnard and www.vimeo.com/cityofoxnard. The Oxnard Police Department will be hosting its 17th Annual Memorial event on May 4, 2016 at 10:30 AM in front of the Oxnard Police Department, 251 S. “C” Street. The Department welcomes the public to attend and celebrate the lives of seven Oxnard officers who lost their lives while in the line of duty. The Oxnard Police Department hosts this event every year with officers, families and the community attending. 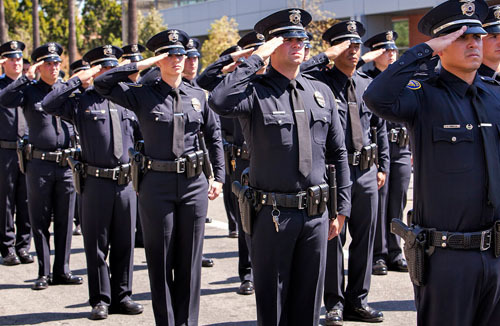 This year we will also have a special display from the Los Angeles Police Department. The End of Watch mobile wall will be on display during the ceremony. This wall proudly displays the names of 253 Los Angeles Police Officers who have lost their lives along with video displays of Law Enforcement Officers from Ventura County. The mobile display has been traveling throughout the nation and will be at our station on display until 2200 that night. The Oxnard Police Department invites the public to come by and take a look at the display in person and take the time to remember the officers who have lost their lives. 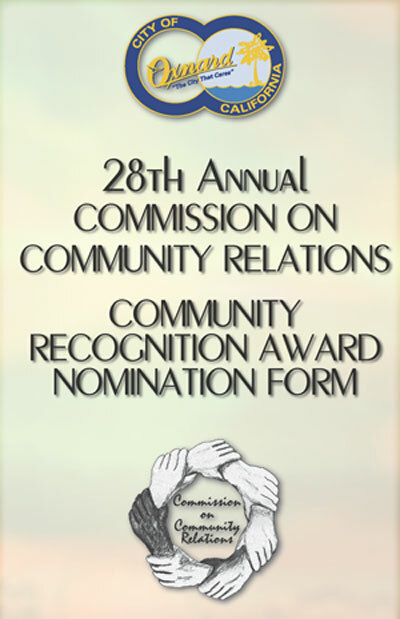 Nominations for the Community Recognition Award are open. The Commission on Community Relations invites you to submit the names of individuals, business, youth, organization that works or performs community services in the City of Oxnard. Click here or image below for Awards Nomination form. Oxnard Fire Department personnel are crediting a 13 year old girl with waking her baby sitter and 2 younger siblings, allowing all to escape without injury when their house caught fire late Saturday night. The young girl, her 31 year old baby sitter and a 3 year old were dozing in front of the TV when the youth smelled smoke. She went to investigate and discovered fire in the attached garage of their single family residence. The youth alerted the babysitter to leave with the 3 year old and to call 911 while she went to wake her 7 year old brother who was asleep in a back bedroom. The teen was able to get everyone safely out of the house before firefighters arrived on scene. More than 17 Oxnard Fire Department personnel were met with heavy smoke and heat when they responded to the residential structure fire in the 1300 block of Visalia Drive at around 2320 hrs Saturday night. Firefighters were able to extinguish the blaze within ten minutes of arriving on scene and kept it from spreading throughout the entire structure. Even so, seven people were displaced and their home suffered heavy smoke and heat damage. The American Red Cross was called to assist the family. Oxnard Fire Department investigators determined that a malfunctioning refrigerator in the garage started the blaze. The structure is valued at $325,000. Damage to the property is estimated at $100,000 with an additional $20,000 to the contents. For questions, contact Fire Department Spokeswoman, Deborah Shane at 805-340-7716. A family of five was displaced after an explosion alerted them to fire burning in the attached garage of their single family residence early Thursday morning. More than 17 Oxnard Fire Department personnel were met with heavy smoke and flames when they responded to the call in the 1400 block of Magnolia Street just before 7 a.m. In order to attack the fire, firefighters gained access by cutting the garage doors off with rotary saws. Firefighters were endangered by falling debris and their efforts to get to the seat of the flames were hampered by a garage packed floor to ceiling and used as a storage facility. Twelve minutes after arriving on scene Oxnard firefighters representing three engines, a truck company, a rescue unit and a Battalion Chief had extinguished the fire and kept it from spreading throughout the entire structure. Even so, three adults and two children were displaced and their home suffered extensive smoke damage. The American Red Cross was called in to assist the residents. There were no injuries. Oxnard Fire Department Investigators assessed damage at $75,000 to the structure and an additional $25,000 to the contents.